September 11, 2009 September 15, 2009 BharathNet1 Comment on How to promote web hosting business in kerala? How to promote web hosting business in Kerala? 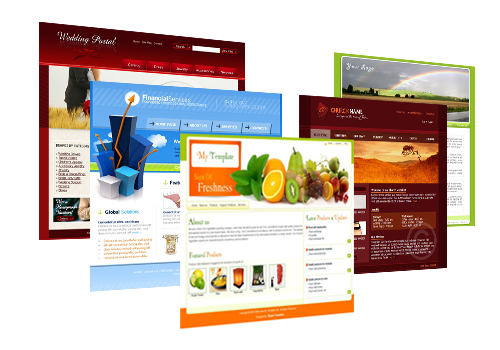 Various marketing methods to boost up web hosting business. Useful guideline from kerala’s leading web hosting company. Login failed! Sites are not getting! March 13, 2009 July 21, 2009 BharathNetLeave a Comment on Login failed! Sites are not getting! If you fail to login into your hosting account, you may face un availability of your sites. Suddenly, your sites seems down and may lead to worry. The actual fact behind this problem is our firewall setting. Recently we are getting more hacking attacks and spamming against our server. (It is not an unusual thing in hosting industry. ) We hard coded our firewall systems to keep our server secure and safe from such threats. Our firewall system will block ip address of the person who tried to login by using brute force method. We know sometimes it may disturb our customers. But in long term, we know it is good for them. So whenever you typed wrong login details more than 3 times, your ip address will be temperorily get blocked. Difference between Unlimited Hosting and Unlimited domain setup. December 15, 2008 December 15, 2008 BharathNet1 Comment on Difference between Unlimited Hosting and Unlimited domain setup. Unlimited hosting means you will get unlimited space and unlimited bandwidth at a fixed price for an year or a month. You can host as many files as you can. The server provider never (?) stop you from the uploading. (Pls read our post on “unlimited web hosting”). But unlimied domain setup never means you can utilise unlimited server space and bandwidth. It means you can split the total space and host any number of domains in your hosting account. Here your allotted space will be limited to 100MB or 2GB etc. I uploaded my website contents. But it is not visible.??? December 1, 2008 BharathNetLeave a Comment on I uploaded my website contents. But it is not visible.??? In our linux server, your home directory contains several folders(directories). You have to upload all your public content under the folder named “public_html”. “public_html” is the folder which is visible by your visitors. Moreover you need to name your home page “index.htm” or “index.html” in order to visible it as first page. Otherwise, your site may show list of all your uploaded files. I uploaded my site. But it shows a blank page. What is the problem? November 20, 2008 November 20, 2008 BharathNetLeave a Comment on I uploaded my site. But it shows a blank page. What is the problem?